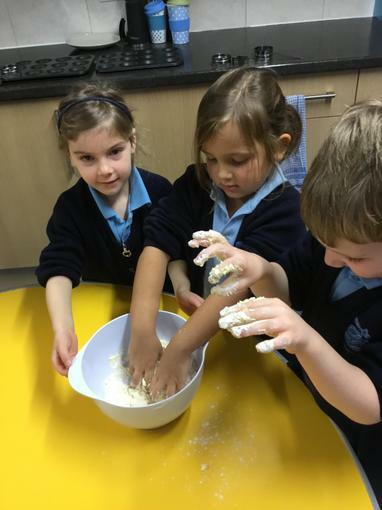 Class R really enjoyed their first cooking session. 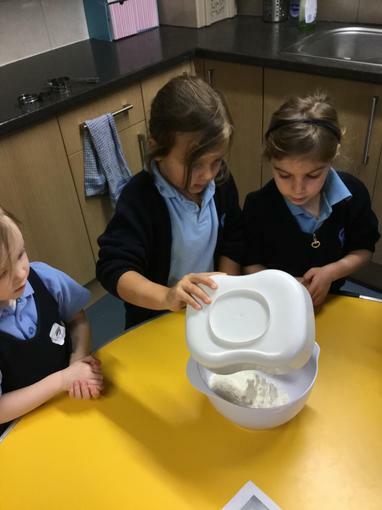 They worked well in groups and were great at checking the measuring scale, mixing the ingredients and carefully rolling out the dough. The jam tarts looked very tasty and the children certainly enjoyed them!